One example of a person who took the Church to hell is Andy Loughton, a marketplace minister from our Church. Andy loves the Lord, but of equal importance, Andy loves the people that the Lord loves. One of Andy’s business is a bakery in the centre of our town. The area close to the bakery is popular place for homeless people to congregate. Remember, as we discussed in the previous chapter, a minister is a servant who operates under the authority of the King. 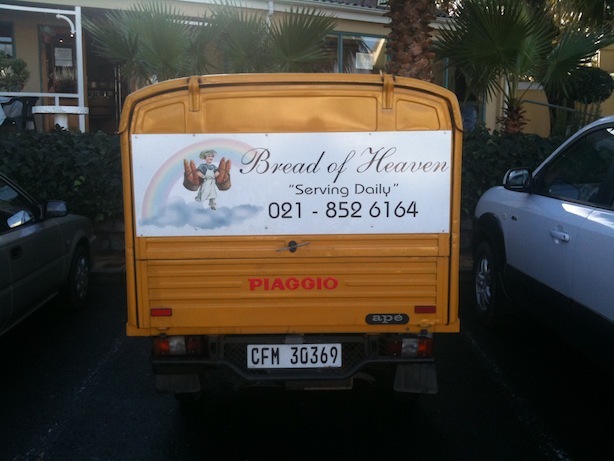 What do you think Jesus would do if he was the owner of ‘Bread of Heaven’ bakeries? Of course, he would use this business to minister to the needy. Thankfully Andy thinks like Jesus does, and so in his mind ‘Bread of heaven’ was a prime opportunity to establish the Church in the marketplace! Wherever you have need and you have a Christian in the same location you can be sure that Jesus wants to do something special. So Andy began to establish the Church in a simple way, as a baker he could provide some bread to feed the hungry, but he could also provide the bread of life (John 6:35). In a place where the Churches of our community were seldom active you will now find the Church meeting daily. The hungry are fed and the Gospel is preached. ‘Bread of Heaven’ has become a little like the story of Ephesus – there have been so many lives changed because of Andy’s obedience that many in our community are beginning to hear the good news (like in Acts 19:10). Remember, God’s intention for the Church is that it would be a mighty instrument of salvation, healing and transformation. In order to make that happen we will need to take the Gospel out of our local congregations and into the marketplace. Your workplace may just be the next Ephesus where the testimony of God’s grace is so powerful that everyone comes to hear the good news of Jesus (Acts 19:10)! I’d love to hear some more examples of people like Andy, and companies like ‘Bread of Heaven’ who are doing extraordinary things to bring God’s Kingdom to bear on their surroundings! Please do share any ideas and testimonies in the comments below or on the discussion and feedback page! One thing Andy did mention, which has been something I’ve often thought about, is how disconnected our Christian efforts are from the good work that other believers are doing. For example, he indicated that there are some days on which there are two Churches feeding the same people (one in the morning and another in the afternoon) and other days on which the homeless are not being fed. How do we create networks and relationships to help us work together more effectively for sustained transformation? I’d love to hear your thoughts!